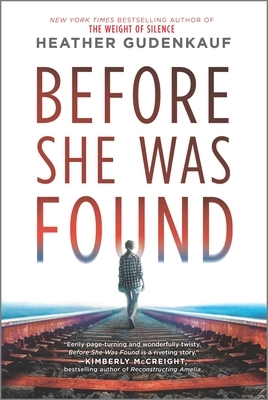 A gripping thriller about three young girlfriends, a dark obsession, and a chilling crime that shakes up a quiet Iowa town, from the New York Times bestselling author of The Weight of Silence. Violet Crow and her family never intended to live in Pitch, Iowa, but their car broke down on their way to a larger town. Now, she, along with her mother and older brother, is simply trying to make the best of a bad situation in a small town where everyone knows everyone else's business. Violet is the new girl in town and at the school and all she wants to do is fit in and get along. Jordyn Pettit wasn't born in Pitch, but her father and grandparents were. She's now living with her paternal grandparents and has been for the past eight years. Jordyn may not have been born in Pitch, but she is definitely the queen bee of the sixth grade. No one wants to get on her bad side because they all know that there will be repercussions, perhaps not today, or tomorrow but at some point in time. Cora Landry was born in Pitch. She was born premature, is small for her size, quiet, often nervous and anxious, and definitely doesn't fit in. She's the child that takes everything to heart and her feelings can be bruised quite easily. Cora is initially quite pleased to welcome Violet and the two quickly become friends. Violet even begins to spend afternoons and nights at the Landry home. Things are great for Cora in middle school, but they definitely take a turn for the worse when she begins to work on an "urban legend" assignment along with Violet and Jordyn for school. The assignment ends with Cora unwittingly antagonizing a friend of Jordyn's in class followed by an argument with Jordyn and a slap in Jordyn's face. If Cora was ostracized before that incident, her life afterward became a virtual hell. Then, several months after the classroom incident, Cora, Violet, and Jordyn seem to be getting along quite well. Plans are made for a sleepover at Cora's house and the night ends with Cora suffering from a severe beating and stabbing, Violet being in shock, and Jordyn being evasive and defensive about what happened. Were the girls out for a random walk or were they attempting to prove/disprove a local urban legend? Was there someone else at the train depot that night or had one of the uninjured girls finally gotten the long-awaited revenge? Before She Was Found is an unsettling read, primarily because of the subject matter, a child found beaten and stabbed and the possibility it might have happened at the hands of another child. It is also a fast-paced read with plenty of twists and turns. One minute you'll think the culprit is suspect A and the next you're sure it's suspect B before deciding there's a possibility it could be suspect C or even D. (No, I'm not going to reveal just who the suspects are...read the book!) It's hard to imagine young twelve-year-old girls with deep, dark secrets, but the more you read, the more you realize these aren't your typical twelve-year-old girls (or at least you're praying that these aren't your typical twelve-year-old girls). Throughout most of the story, it's quite easy to sympathize with both Cora and Violet's situation. Jordyn begins the story as a mean girl and it's just hard to feel for her despite the circumstances. But all is not what it appears in this story and don't be so quick to judge. (Again, I'm not going to reveal who-did-it or why, read the book!) 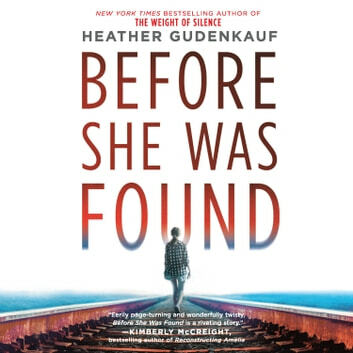 I enjoyed the way Ms. Gudenkauf wove the history between these girls into the present situation so you're gradually learning more and more about each girl and what brought them all to now. It isn't until the last few pages that the author throws the reader a curve and makes you ask "why didn't I see that coming?" I enjoyed the characters, the small town setting, and the action. There were characters I liked and characters I didn't like and felt quite unsympathetic towards throughout. This story is about more than an urban legend or even one injured girl, it provides elements of tween angst and drama, friendship, bullying, family drama, and the lengths family will go to while trying to protect a loved one. 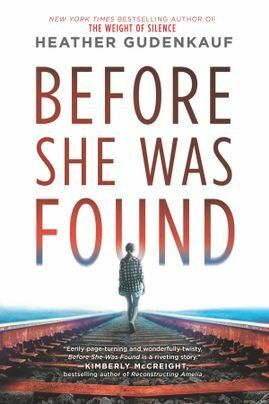 Before She Was Found is a taut psychological suspense read that kept this reader on the proverbial edge of my seat wondering just what would happen next and why. If you enjoy reading books based on reality (think Slenderman) or suspense reads, then I strongly encourage you to grab a copy of Before She Was Found to read. I enjoyed reading Before She Was Found and look forward to reading more from Ms. Gudenkauf in the future.